Generalization is a bottom-up approach in which two lower level entities combine to form a higher level entity. In generalization, the higher level entity can also combine with other lower level entity to make further higher level entity. Specialization is opposite to Generalization. It is a top-down approach in which one higher level entity can be broken down into two lower level entity. In specialization, some higher level entities may not have lower-level entity sets at all. Aggregration is a process when relation between two entity is treated as a single entity. 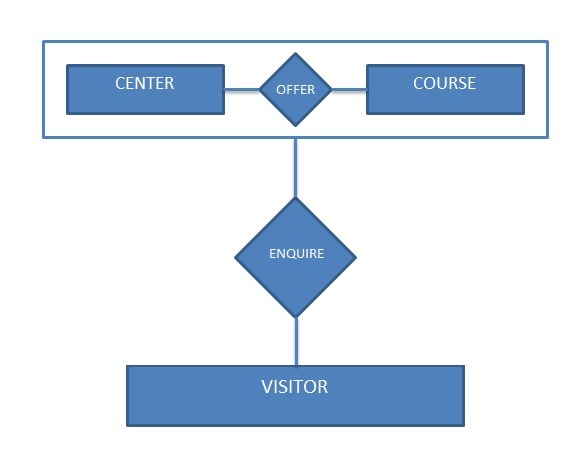 Here the relation between Center and Course, is acting as an Entity in relation with Visitor.